recognized and an industry leader in trend and fashion. the mayor’s office as one of the most successful business women in Queens. headquarter in Paris. 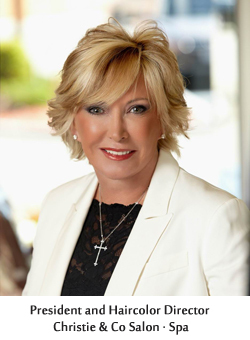 Lois Christie served as the first female President of Intercoiffure America/Canada and as world Vice-President. INTERCOIFFURE represents the best salons in the world. They set the trends the rest of the industry follows. We thank you for visiting our website, and welcome you to visit our Salon.